Women of Change is a curated panel of successful women will discuss how they have succeeded in their respective fields and how they are poised to play a major role in the dawning of a new corporate landscape. 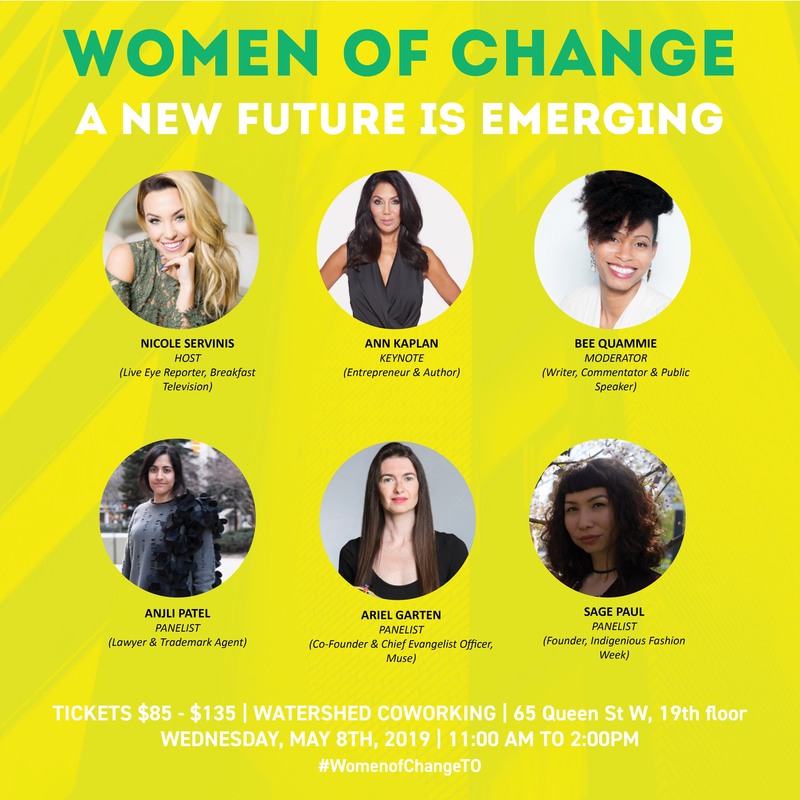 Proceeds from this luncheon will go to support the empowerment of women and youth who continue to inspire the UforChange family as well as UforChange’s artistic programs for youth in the Greater Toronto Area. The world today is currently experiencing the largest transition of wealth in history. In 2017, the BMO Wealth Institute published a report titled “Financial Concerns of Women” which revealed that 51% ($14 trillion) of personal wealth in the US was controlled by women. By 2020 that number is expected to rise as high as $20 trillion. This is the catalyst for a major paradigm shift in the corporate workplace and many firms are scrambling to adjust to this trend. This shift in wealth favours organizations that have a more female balance in their culture if not outright lead by women. A new future is emerging and women have the opportunity to write the next pages. Interested in sponsoring this extraordinary luncheon? Contact us at: info@uforchange.org to receive our sponsorship kit. Watershed Partners does not provide onsite parking to the general public. There are several public parking lots nearby. Please contact Victoria Marshman at victoria@stratusevents.ca or 416-627-1435. No. A digital version is OK. Yes. Please e-mail us with any changes.